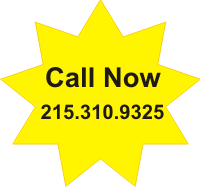 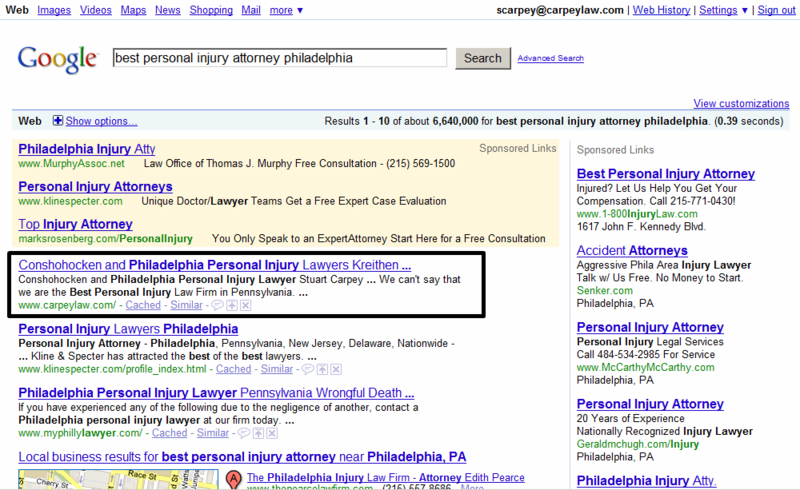 Yves A Martin Consulting, LLC Internet Marketing and SEO services, created a website for Kreithen Baron & Carpey, a law firm that handles personal injury and civil rights cases. 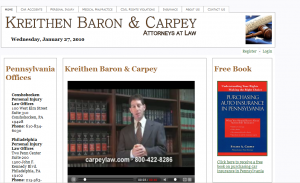 The Kreithen Baron & Carpey website was created to help promote their law firm on the Internet and make the website more search engine friendly. When designing the new site, the web design team at Yves A Martin Consulting used ethical Search Engine Optimization (SEO) to create a search engine friendly website for Kreithen Baron & Carpey. 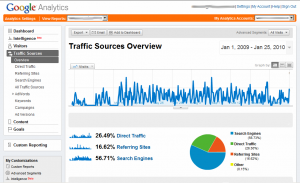 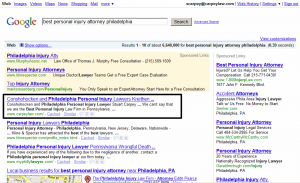 Using advanced keyword research tools Yves A Martin Consulting, LLC discovered keywords that would drive traffic to the site. As a result the site is getting over 56% of their traffic from Search Engines compared to over 26% from Direct Traffic and over 16% from Referring Sites.